Notes: Recently collected in King Co. (Jacobson et al. 2001). 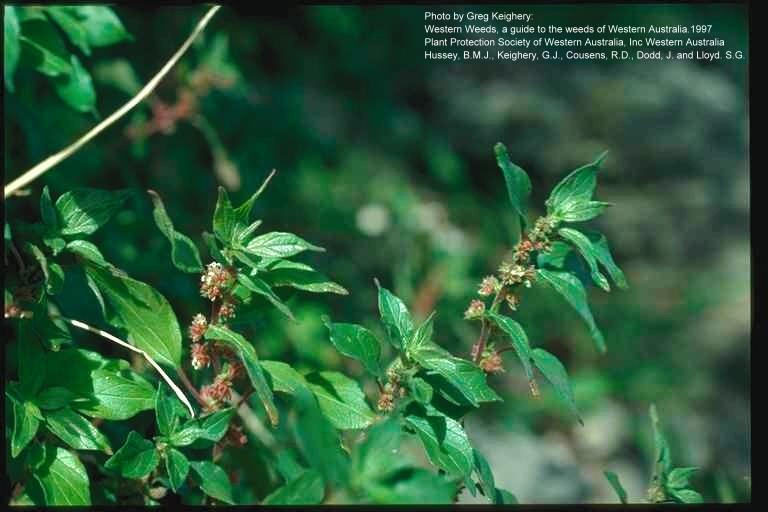 FNA3: "Parietaria judaica , which, in North America, is most abundant in scattered localities in California, is the only long-lived perennial species of Parietaria in the flora. Because of confusion in Europe over the correct name, plants in North America have been called P . judaica , P . officinalis of authors, not Linnaeus, P . officinalis var. erecta (Mertens & Koch) Weddell, and P . officinalis var. diffusa (Mertens & Koch) Weddell. For a clarification of the nomenclature and taxonomy of this complex, see C.C. Townsend (1968). Parietaria judaica was first reported from Louisiana as P . diffusa Mertens & Koch, another name commonly used on herbarium specimens (J.W. Thieret 1969)."